The OID of Kenny Bush, Taya Voborny, Zoey Bergman, Lydia Behnk, and Hunter Reestman—District Champions and state qualifiers. The Duet of Zoey Bergman and Taya Voborny—District Champions and state qualifiers. Lydia Behnk—Entertainment Speaking-District Champion and state qualifier. The Duet of Kenny Bush and Hunter Reestman—District Runners-up and state qualifier. Placing fourth and narrowly missing a trip to state were Jaime Hoefer-Serious Prose, Kira Widger-Poetry, and Brea Carr-Extemporaneous Speaking. The OID of Jaime Hoefer, Kira Widger, Ashton Evans and Adam Dreger placed fifth. Mateo Kirstine also placed fifth in Extemporaneous Speaking. Lexi Swanson received an Excellent Rating in Poetry and Carter Schindler received an Excellent Rating in Humorous Prose. EPS coaches Jessie Reestman and Stacy Shumake-Henn credited the whole team for the day’s success. They are also excited about the upcoming trip to Kearney. 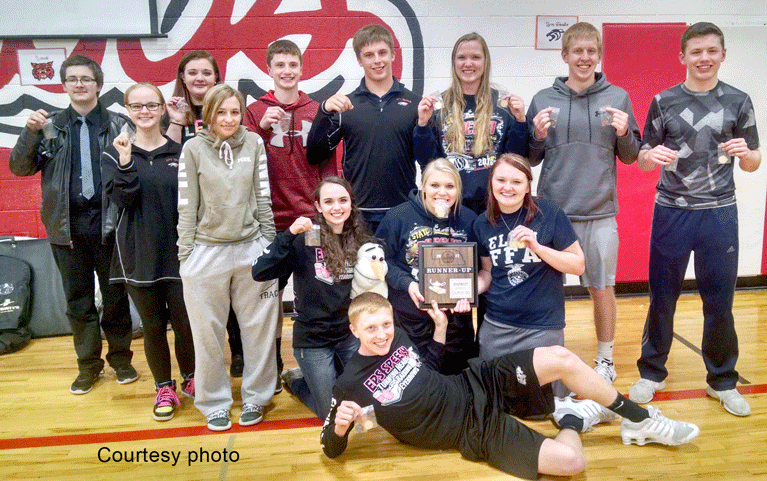 Those competing at state include four-time state speech qualifiers Kenny Bush and Zoey Bergman. They also had words of praise for those with close calls on the day. “Of course, we had some heartbreaks. That is one of the downsides of speech. We had some fabulous performances, but all it takes is one opinion to make difference. We couldn’t have asked any more of these kids. They have had a tremendous impact on our program and have been very committed to making themselves and others better.” The State Speech Championships begin on Thursday of this week. Class D2 will compete on Friday.